Our Chair Margot Sweeny is delighted to announce that Mr. Graham Olrich has recently joined Cufa’s Board of Directors. With over 38 years of experience in the retail banking sector, Graham will bring valuable knowledge of strategy, leadership, risk management and business development to the Board. Graham was CEO of Credit Union Australia (CUA) for 14 years, and currently runs his own consultancy business. 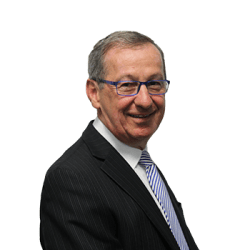 He has been Chairman of the Board at Regional Australia Bank since 2014, Chairman of the Board at TSWG since 2016, and currently holds a Board member position at Summerland Credit Union, and The Capricornian.